Spring in downtown Madison is beautiful – the breeze off the lakes and the tulips around the Capitol can make winter in Wisconsin seem far away. The spring following a gubernatorial election is an especially crazy time in Madison. Special interest groups are working hard to get the ear of the governor’s office and facetime with legislators in the majority. And let’s be realistic – we all have special interests we wish to have considered as the re-write of the state budget takes place. There is a relatively short window of time as the budget is drafted and re-drafted to let our elected officials know our needs. How the state ultimately spends its limited resources may touch many segments of our lives, and it is prudent to take interest in the process. Special interest membership groups serve a good purpose in helping to impress our message on these decision-makers. Working together with other folks who share our needs is a productive way to have our voice heard. You may be a member of more than one special interest membership group – for example, local government groups, education groups, health care advocates or even AARP. One of the membership groups representing your interests at the Capitol this spring is the Wisconsin Farm Bureau Federation. Every year, at the annual meeting, our members meet to talk about issues that concern their businesses and livelihoods. A policy manual is drafted from this discussion and provides direction for us to approach the administration and legislature with our industry needs. We follow what is happening at the Capitol and if our membership has voiced an interest or position on the topic, we make sure to convey that position to legislators, committee chairs and the governor. Sometimes issues or topics arise for discussion under the Dome that are not included in the budget but are still relevant to WFBF members. Often these end up being introduced as free-standing bills and are scrutinized through public hearings. WFBF works hard to have a place at the table to make sure your interests are represented in these also. In this 2019-21 legislative session we are following a variety of issues that could have an impact on Wisconsin agriculture. Governor Evers has announced that 2019 is the “Year of Clean Drinking Water”. Wisconsin farmers understand as well as anyone the importance of clean, safe water. Our livelihood depends on it. Farmers know that every year is dedicated to being good stewards of land and water resources. WFBF is supporting reasonable best practices to keep this critical resource clean and healthy for our families and livestock. The 2018 Federal Farm Bill allows states to develop a management plan to convert a pilot hemp crop program into a permanent controlled crop program. Last season, Wisconsin observed a very successful hemp pilot crop program. WFBF had been at the forefront to encourage that pilot program. Now there is farmer interest in allowing this versatile product to develop into another source of agricultural revenue for this state. WFBF supports the governor’s proposal to increase the team at DATCP to monitor and help grow the hemp crop program. The dairy industry is continually changing and the recent recommendations from the Dairy Task Force 2.0 have highlighted the need for research to keep this industry on the cutting edge. WFBF is advocating for the Dairy Innovation Hub which is a collaboration of three UW campuses – Madison, Platteville and River Falls. This effort would research best practices and new products in four specific paradigms: 1) stewarding land and water resources, 2) enriching human health and nutrition, 3) ensuring animal health and welfare for consumer confidences 4) and growing our dairy farm families and rural communities. Lastly, funding for roads has been a budget topic for decades in this state. Getting inputs like feed and fertilizer out to our farms as well as moving our milk, cattle and grain to market is critical to a strong ag economy. Counties and towns need local road funding increased significantly to maintain the infrastructure to support this industry. WFBF continues to advocate that increases in revenues should be directed to local road aid funding as an addition to the current levels. There are other issues WFBF is formally following down at the Capitol, but the those discussed above are priorities this session. We work every day to make sure that the decision-makers know how important your business needs are. We take our direction from the WFBF membership very seriously as we continue to advocate for a changing ag industry in Wisconsin. 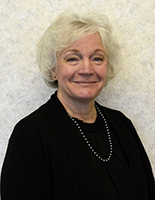 Debi Towns recently joined the WFBF staff in the governmental relations division. She served many years in a variety of government positions for the State of Wisconsin, including serving two terms in the State Assembly. Debi hails from a Rock County family dairy farm where she and her husband have resided for the past 43 years. She is well-acquainted with needs in agricultural industries and hopes to bring her expertise to the table to help Wisconsin Farm Bureau members.